Why is it that God's end-time work is not done through the man used by God but must be done by God incarnate personally? “The work of God’s entire management plan is personally done by God Himself. The first stage—the creation of the world—was personally done by God Himself, and if it had not been, then no one would have been capable of creating mankind; the second stage was the redemption of all mankind, and it was also personally done by God Himself; the third stage goes without saying: There is an even greater need for the end of all God’s work to be done by God Himself. The work of redeeming, conquering, gaining, and perfecting the whole of mankind is all personally carried out by God Himself. If He did not personally do this work, then His identity could not be represented by man, or His work done by man. In order to defeat Satan, in order to gain mankind, and in order to give man a normal life on earth, He personally leads man and personally works among man; for the sake of His entire management plan, and for all of His work, He must personally do this work. … Only by carrying it out Himself can God do this work thoroughly and completely. Man is incapable of doing it on behalf of God. As he does not have God’s identity or His substance, he is incapable of doing His work, and even if man did, it would not have any effect. The first time God became flesh was for the sake of redemption, to redeem all mankind from sin, to make man capable of being cleansed and of being forgiven for his sins. The work of conquest is also personally done by God among man. If, during this stage, God were only to speak prophecy, then a prophet or someone gifted could be found to take His place; if only prophecy were spoken, man could stand in for God. Yet if man were to personally do the work of God Himself and were to work the life of man, it would be impossible for him to do this work. It must be personally done by God Himself: God must personally become flesh to do this work. In the Age of Word, if only prophecy were spoken, then Isaiah or Elijah the prophet could be found to do this work, and there would be no need for God Himself to do it personally. Because the work done in this stage is not merely the speaking of prophecy, and because it is of greater importance that the work of words is used to conquer man and defeat Satan, this work cannot be done by man, and must be personally done by God Himself. In the Age of Law Jehovah did part of God’s work, after which He spoke some words and did some work through the prophets. That is because man could stand in for the work of Jehovah, and the seers could foretell things and interpret some dreams on His behalf, for the work done in the beginning was not the work of directly changing man’s disposition, and was unrelated to the sin of man, and man was required only to abide by the law. So Jehovah did not become flesh and reveal Himself to man; instead He spoke directly to Moses and others, made them speak and work on His behalf, and caused them to work directly among mankind. The first stage of God’s work was the leadership of man. It was the start of the battle with Satan, but this battle had yet to officially begin. The official war with Satan began with the first incarnation of God, and it has continued right up until today. The answer from God’s word: “Since Jesus departed, the disciples who followed Him, and all of the saints who were saved thanks to His name, have been desperately pining for Him and awaiting Him. All those who were saved by the grace of Jesus Christ during the Age of Grace.. 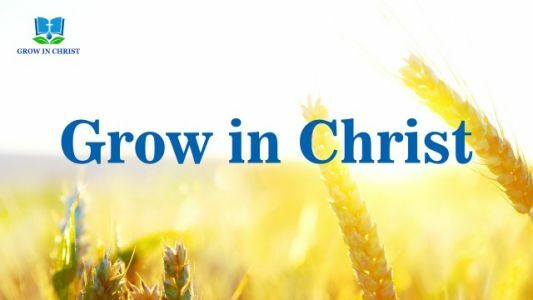 Relevant Words of God: Though God’s work in the flesh involves many unimaginable difficulties, the effects that it ultimately achieves far exceed those of the work done directly by the Spirit. The work of the flesh entails much hardship, and the flesh cannot possess the same great identity as the..